The Palau Blaugrana is the sports venue used for FC Barcelonas football, roller hockey and futsal training sessions and official matches. Inaugurated on October 23, 1971, it was designed by Catalan architects Francesc Cavaller and Josep Soteras. Its main feature is its large dome, made of reinforced concrete. At the time, it was one of the most modern and impressive in Spain. It is located in Avinguda Arístides Maillol, in the district of Les Corts in Barcelona, on the same site as the Camp Nou football stadium. The building annexed to the Palau Blaugrana houses the club offices and ice rink. The facility is also next door to the FCBotiga Megastore and Miniestadi. When the Palau was inaugurated, it held 5,696 spectators. The improvements made in 1994 increased the capacity to 7,334 while further work carried out in October 2007 increased this figure to 7,585. It was following the team's excellent results in the 1980s that the team outgrew its home venue, and with so many fans, the side started playing its home matches at the Palau Sant Jordi, which holds 17,000 (1990-92 season). 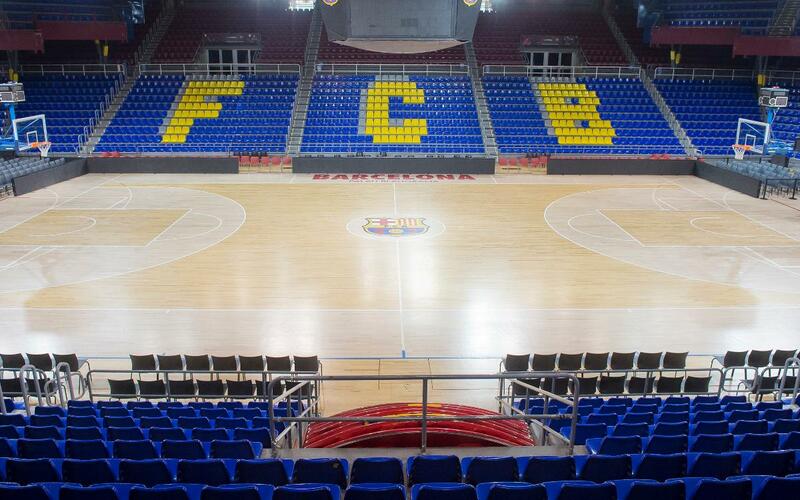 But the new arena turned out to be a little too big, and coupled with the inconvenience for fans of having to travel up the hill to Montjuic, the decision was made to return to the Blaugrana. The shirts of some of the most important Barça players of the past are on display in the Palau. The nine men honoured are basketball players Andrés Giménez, Nacho Solozábal, Juan Antonio San Epifanio "Epi" and Roberto Dueñas, along with handball stars Joan Sagalés, Iñaki Urdangarín, Òscar Grau, Enric Masip, Xavier O'Callaghan and David Barrufet, and roller hockey legend Alberto Borregán. As well as witnessing the many different achievements of Barcelona's sports teams, with the 'magic of the Palau' inspiring many amazing comebacks in the past, the Palau Blaugrana was also the venue for roller hockey, judo and taekwondo at the Barcelona 1992 Olympic Games.